Primarily by A) Increasing the number of muscle fibers (cells) B) Increasing the size of the the muscle fibers C) Both A & B D) Increasing the amount of scar tissue between the muscle cells. 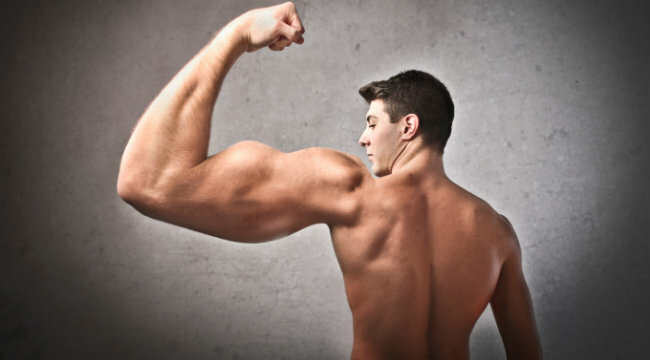 The answer is primarily by B) increasing the size of the muscle cells. When you do strength training that stresses muscles to the point of micro-traumas, they repair by building more myofibrils, mitochondria, cellular organelles and cytoplasm within the muscle cell. This makes each cell get bigger. Recent evidence shows that doing extreme strength training can result in a small increase of the number of muscle cells, but this is a relatively minor method of increasing muscle size and strength. Scar tissue tends to contract over time, eventually making the muscle smaller.